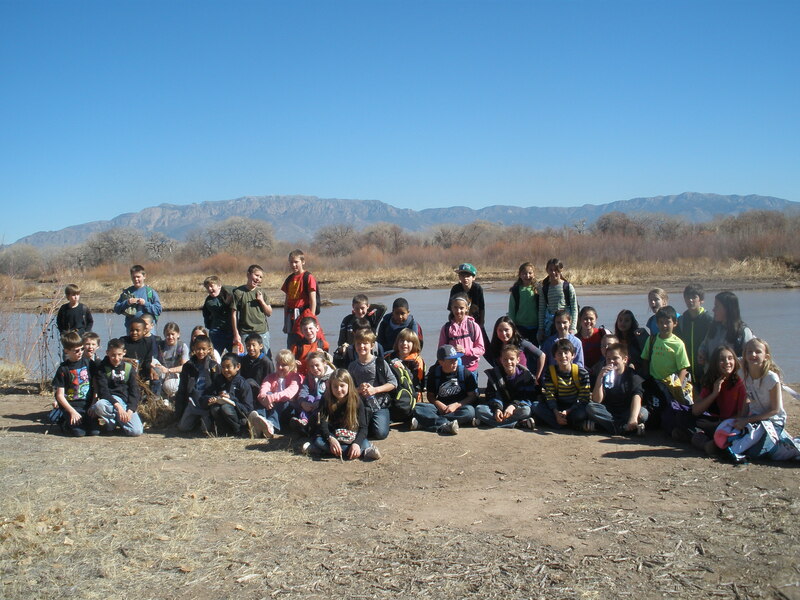 During the 2012/2013 school year, 1,125 New Mexico students experienced the local watershed in their backyard as they explored the Rio Grande bosque. Spanish for forest, the bosque is the green outline along the Rio Grande, carrying precious water through our dry land. 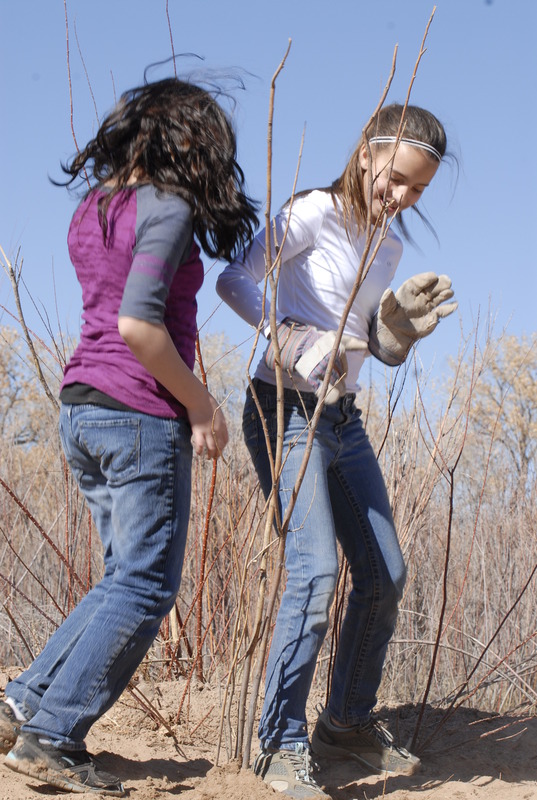 Students from Rio Rancho, Edgewood and Albuquerque Public Schools hiked, studied, sampled, planted and helped conserve three different habitat areas along the Middle Rio Grande during their RiverXchange field trips. In the fall, some of our RiverXchange students visited the Alameda Wetland/Bachechi Open Space at the north edge of Albuquerque. Managed by Bernalillo County and the City of Albuquerque, this fieldtrip site had plenty of great outdoor learning opportunities for our students. Trails along the Rio Grande, wetlands, irrigation ditches, and the San Juan/Chama Drinking Water Diversion Dam replaced desks and textbooks. 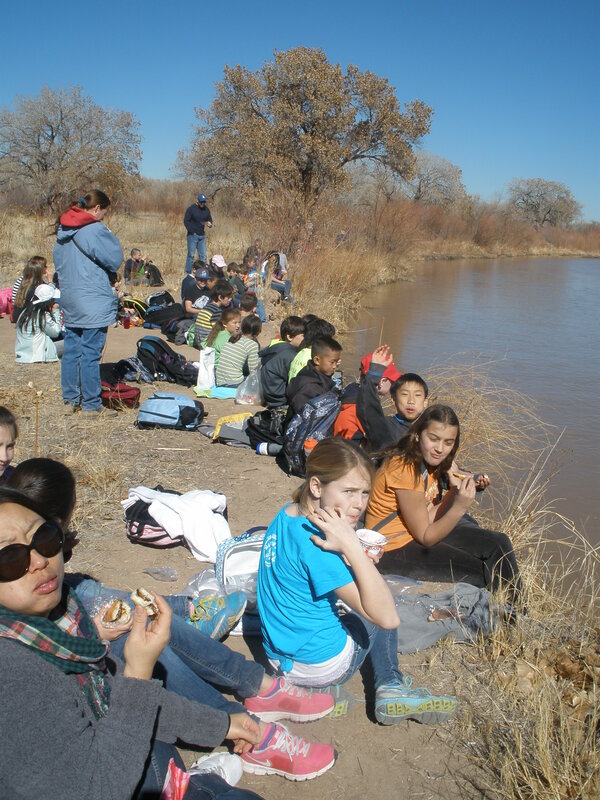 Here, students learned about Albuquerque’s two sources of drinking water, explored the riparian habitat along the river, tested and analyzed wetland water samples and studied aquatic macro invertebrates. After getting her hands and shoes muddy looking for dragonflies in the wetland, one of our RiverXchangers said, “This is the best fieldtrip ever!” Educators from Bernalillo County Open Space expertly assisted us with many of the hands-on outdoor education activities. 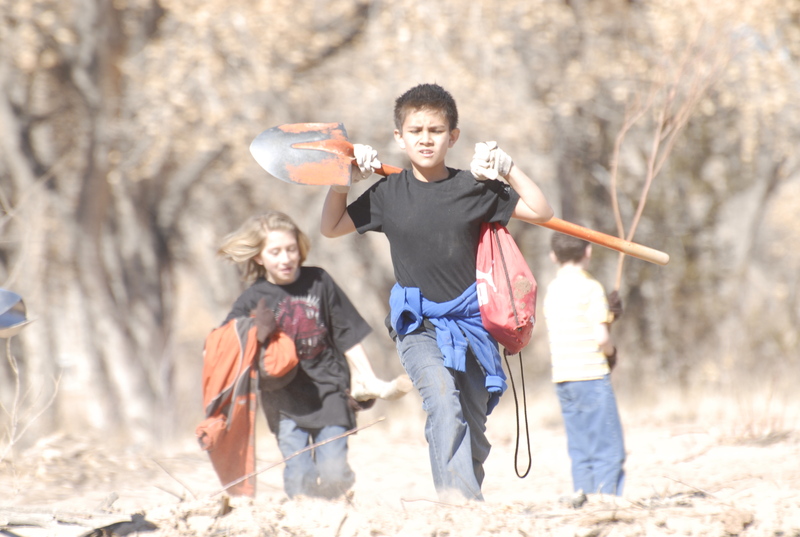 During the winter, several of our classes participated in bosque tree-planting at La Orilla Open Space. Located within the Rio Grande Valley State Park, La Orilla, Spanish for ‘the bank’, is managed by the City of Albuquerque Open Space Division and is located adjacent to the west bank of the Rio Grande. 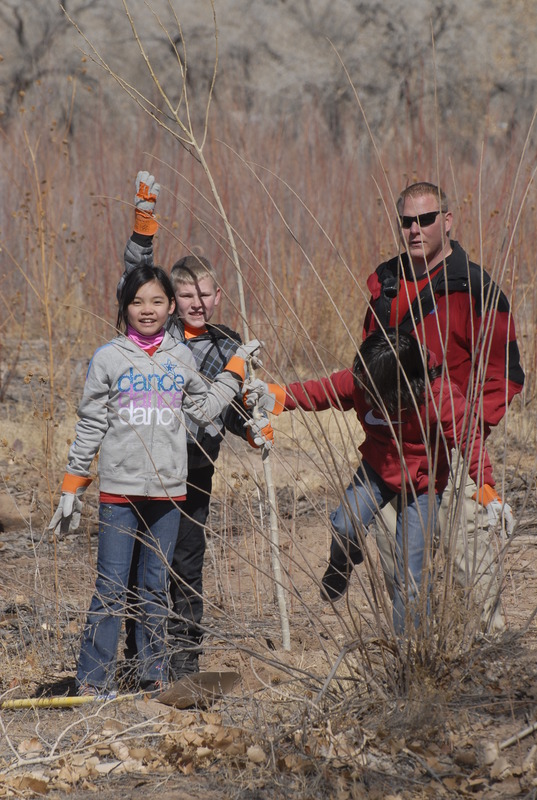 Every winter, the City of Albuquerque plants thousands of cottonwood trees, willows and native shrubs to help restore the Rio Grande bosque. This past winter, 350 RiverXchange students, their teachers and parent chaperones planted 600 trees and shrubs throughout a 7-acre area! Students demonstrated great teamwork as they worked in small groups, digging, carrying and planting under the watchful eyes of expert staff from the City’s Open Space Division. After planting his first cottonwood tree, one student said “I’m going to come back every year with my family to see how my tree is doing!” In addition to planting all those trees, students were treated to exciting wildlife sightings, including bald eagles, sandhill cranes and coyotes. We could not offer these educational and fun field trips, without the generous donations of time, expertise and materials from our partners with Bernalillo County, the City of Albuquerque Open Space and the La Plazita Institute. Thank you! Our fieldtrips are just one component of the RiverXchange experience. Combined with valuable classroom activities, engaging presentations by local professionals and computer technology to communicate with partner classes about watersheds in other areas, we strive to make RiverXchange an active, engaging and fun way to not only learn about our local watersheds, but to inspire students to be the new generation of water conservationists!